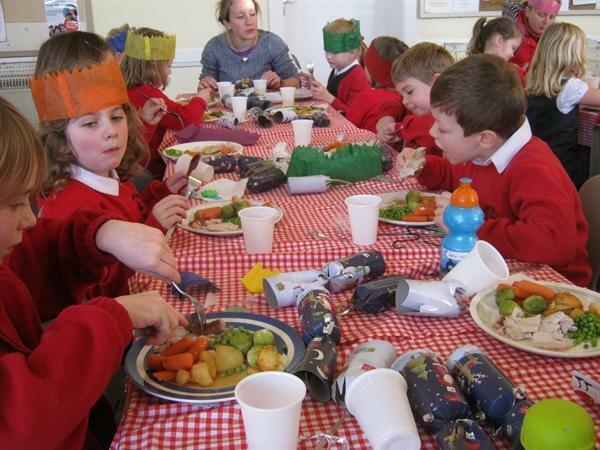 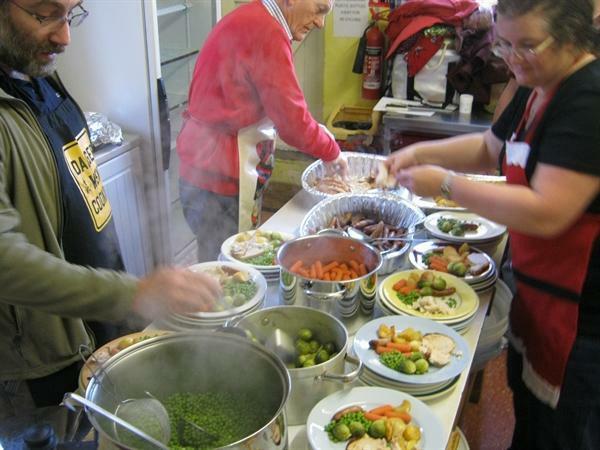 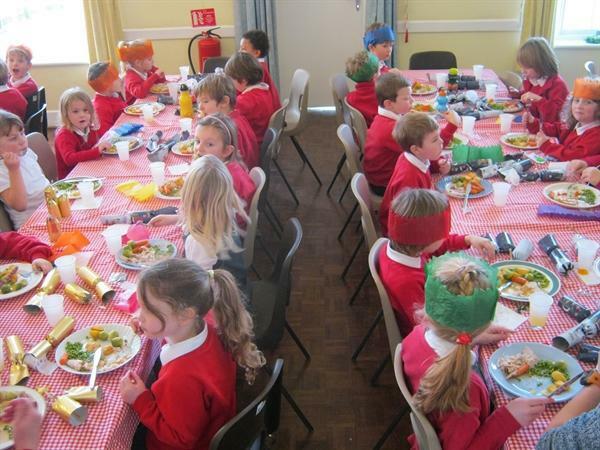 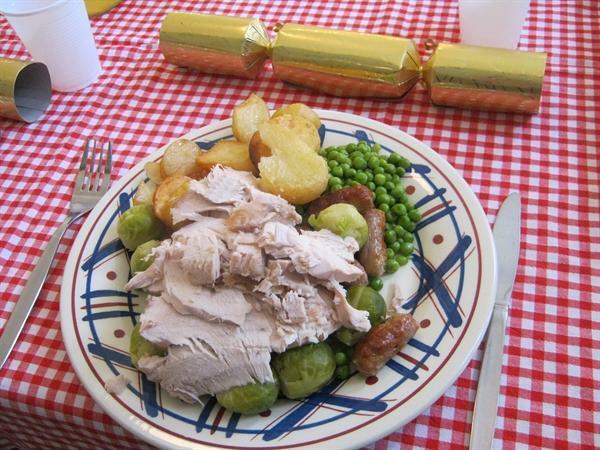 The children were treated to our traditional Christmas lunch at the local village hall. 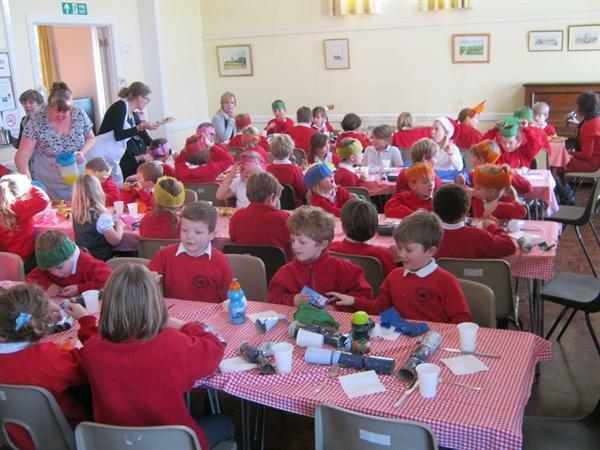 The food and drink were provided entirely by the school governors. 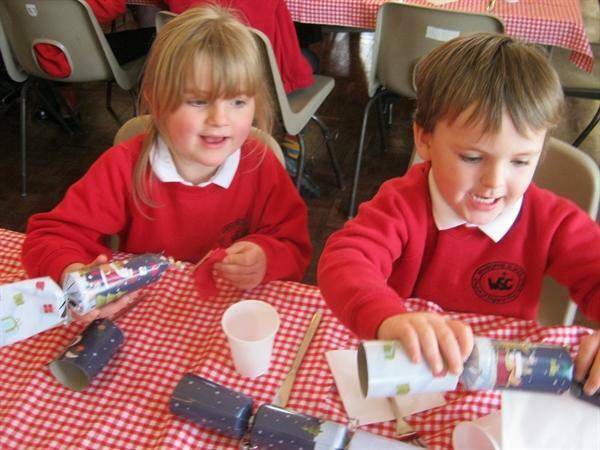 There were some very good and bad jokes read out from the crackers as well as some Carol Singing! 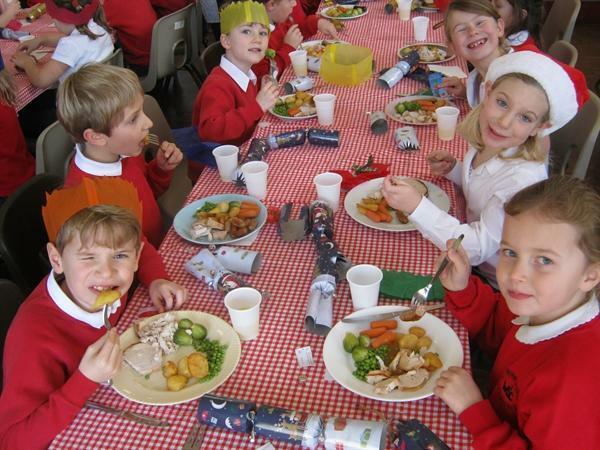 We thank the governing body not only for the Christmas meal but also for their guidance and support in the education of the children. 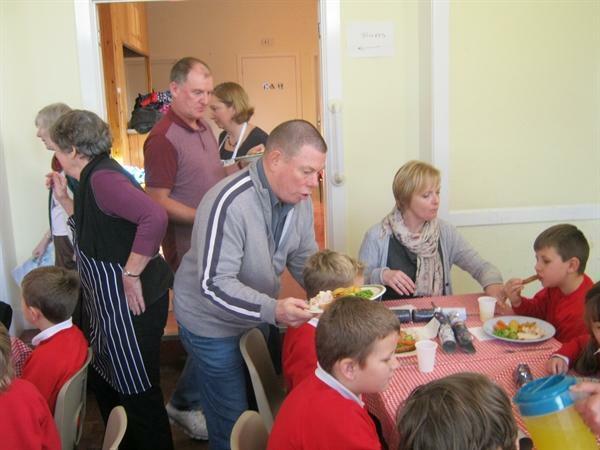 We also said thank you to Mr Campbell who comes to the end of his term as a school governor.